500 words from is an occasional series in which authors talk about their newly-published books. Todd Crowell is an American journalist. He has worked for news magazines in Asia for over two decades, with stints in Hong Kong, Thailand and now Japan, where he serves as country correspondent for Asia Sentinel. He has written three earlier books: Explore Macau; Farewell, My Colony: Last Years in the Life of British Hong Kong; and Tokyo: City on the Edge. 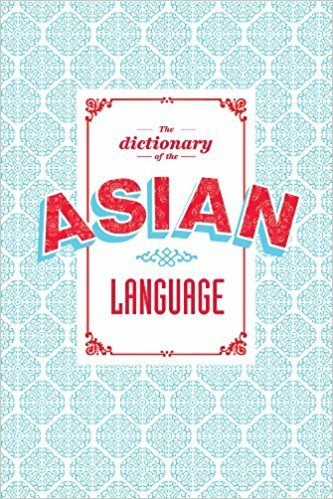 There is no single Asian language, of course, but The Dictionary of the Asian Language explains facets of Asian life, culture, arts, politics, and business through exploring words from Asian languages now being absorbed into English. The bite-sized entries are funny as well as informative, they include: discussion of a flower named after former North Korean dictator Kim Jong-il; the Chinese word shengnu, literally leftover, for the new phenomenon of unmarried women over thirty; explication of the differences between jeepney and jilbab, and between yakuza and yellowshirts. I confess that when the editor-in-chief, the late Michael O’Neill, introduced the idea, I thought it was loony. In time I got hooked, as did many readers. One of my regrets is that the Dictionary moved inexorably forward from A to Z. If you happened to be in the Ms, for example, and came across a fascinating word beginning with C, you were out of luck. This book is a way of making up for that by including words I wish I had known back then. Yet as soon as it is published, newer words will constantly crop up making me say: I wish I had learned that one sooner. Hopefully, there will be new additions. Of course, a lot has happened in Asia in the decade since the Dictionary ran its course. Asiaweek itself stopped publication in 2001 after a 25-year run. New words, expressions and vogue words crop up all the time. Publication allows me to begin afresh. This book is entirely new, not simply a written compilation of the old work. I have written this version from scratch. The Dictionary of the Asian Language is not meant to be a comprehensive catalogue of any Asian language, much less all of them. Such a project would take an army of scholars working for decades and producing volumes. This book is meant to be a collection of vogue words and items that illuminate little corners of Asian life, culture, arts, politics and business. Think of each entry as a bite-sized story in itself. The definition of Asia is not as cut-and-dried as one might think. For the purposes of this book, Asia is defined mainly as Northeast Asia (Japan, China and Korea) and Southeast Asia (Indonesia, Philippines, Malaysia, Singapore, Thailand, etc.) I make an occasional side glance at South Asia (the Indian subcontinent) but not Central Asia or West Asia / the Middle East. Whether Australia and New Zealand are really part of Asia is a matter of dispute, but I cannot resist including some items. The book is not an encyclopedia. I didn’t feel pressured to include everything. Such well-known figures from history as Mao Zedong or contemporary Asia such as Aung San Suu Kyi are not to be found, but lesser known but influential people are included, such as Beate Gordon, the American who wrote the equal rights provision in Japan’s American-drafted constitution. The book is meant to be idiosyncratic, and eclectic. The main rule is that there are no rules. Except one: no item shall be boring. 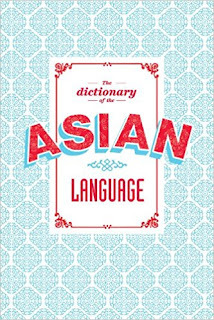 Details: The Dictionary of the Asian Language is published in paperback by Blacksmith Books priced in local currencies. Includes 30 cartoons.